FORT MYERS, Fla. (February 26, 2018) – Fort Myers Pearl Brands won 14 awards at the 2018 American Advertising Awards Suncoast Chapter recently held in Sarasota. Pearl Brands provides brand strategy, creative services, digital and web development and video and photography production for a wide range of clients locally, nationally and internationally. For the 2018 awards, Pearl Brands entered on behalf of their clients including Bayliner Boats, Heyday Wake Boats, Southwest Florida Marine Industries Association, Pink Shell Beach Resort & Marina, Charles & Margery Barancik Foundation, Noel Painting and Lee County Solid Waste and Recycling. Projects ranged from public service announcements and print advertising to social media campaigns and brochures. The Fort Myers firm competed against advertising agencies from Manatee, Sarasota, Charlotte, Lee and Collier Counties. Pearl’s entries resulted in seven Gold awards, four Silvers, two Amy Awards for the highest scoring entry in each major professional category and one Judge’s Choice award. The local Ad Club phase is the first of a three-tier, national competition. Pearl Brands’ awards will next be submitted to the second tier and compete against winners from other local clubs in one of 15 district competitions. 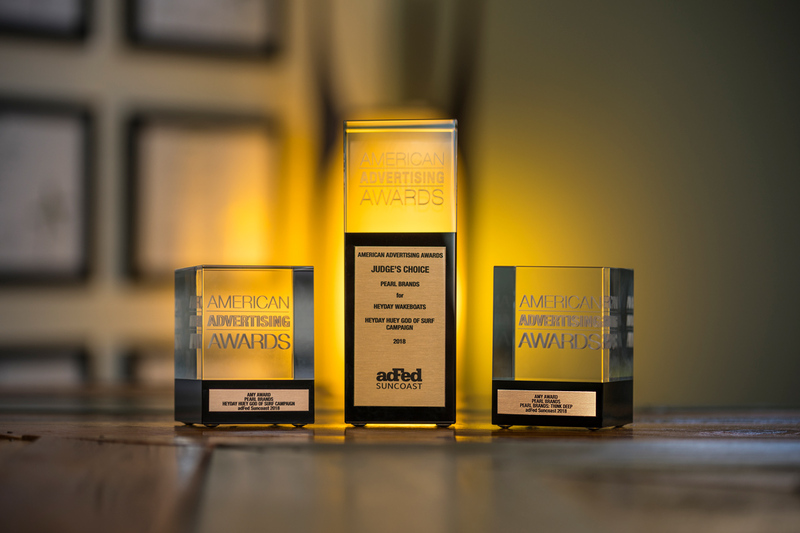 District winners are then forwarded to the national stage of the American Advertising Awards. Pearl Brands is located at 2233 Second Street in Fort Myers. For more information, call (239) 313-6059 or visit pearlbrands.com.